Princess Sepora of Serubel is the last Forger in all the five kingdoms. The spectorium she creates provides energy for all, but now her father has found a way to weaponize it, and his intentions to incite war force her to flee his grasp. She escapes across enemy lines into the kingdom of Theoria, but her plans to hide are thwarted when she is captured and placed in the young king’s servitude. Sepora’s gift may be able to save Tarik’s kingdom. But should she risk exposing herself and her growing feelings for her nemesis? 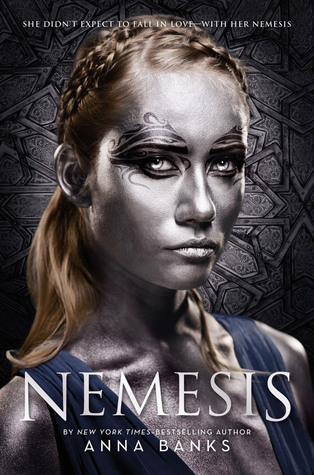 I’ve got to admit- I was a tad hesitant to read Nemesis due to the cover. I try not to judge a book by it’s cover but that’s nearly impossible. For some reason the cover does not appeal to me in the slightest. I dove in regardless and found I really enjoyed this book! I don’t really think the title or the cover are the best for the story. This book was a great fantasy novel and even has a dragon like creature! The story was told from two point of views, one in first person the other in third. I felt this was done very well and was a great way to reveal the story. We see Sepora’s story from the first person perspective which gave us insight into her thoughts. She was an incredibly bold and brave character that was easy to relate to. I enjoyed her personal journey and though I could forsee certain story aspects before they were revealed the character journey was more than intriguing. This character went through SO much it was really incredible how strong she was and how she was able to focus on her main goal. I felt her motives were really easy to understand. I imagine it’ll come as no surprise but these two character’s stories intersect and because their kingdoms are enemies and at war this causes the characters much internal strife. Especially for Sepora- she has to deal with the idea of betraying her kingdom but for a common good for the people. The chemistry between these two characters was electric and I adored their scenes together. I think this really helped me love the novel and want to continually have this book in my hands. As with most fantasy novels the world was complex but I felt that Banks handled revealing things very well. It rarely felt confusing for me even though there were multiple kingdoms, names and a new magic system to learn about. For some readers that aren’t huge fantasy fans the beginning of the book might be a bit heavy in world building but hang in there! It’ll all become clearer. I was continually intrigued by this world and am excited to learn more in the next book. This leads me to the ending of Nemesis. It was evil! It just ended- I kept flipping pages wondering where the rest of the story was. It literally just ended and I was not ready. I was really surprised with how well done Nemesis was. This was my first book to read by the author and I was really impressed. 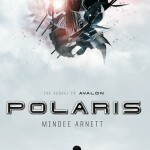 I loved the characters and the world and can’t wait for the next book to help the pain of the book ending so abruptly. me either! Hurry up book 2!! I am super turned off to this book because of the cover as well, so this review is really great to see! I feel like I don’t often see first person and third person perspectives in one book, so that sounds interesting. I’m really looking forward to this one now! Don’t trust this one on cover alone. It was faaaar better than the cover leads one to believe. Ooh nice! 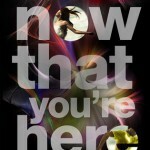 This is one I really want to read! I’ve been hearing pretty good things about it. I really liked her Of Poseidon trilogy she wrote. So a new fantasy from her sounds just like my kind of read. Sorry to hear you didn’t fully love it but glad it was still a worthy read! I might wait until the sequel is out though. Me & cliffhangers are never a good thing! Lol. Nice review! I absolutely adore the cover of this book! What was it that you didn’t like about it? Also, I cannot wait to get my hands on a copy. Thank you for making me realize just how much I HAVE to read this book! I’m not sure what I don’t like about the cover- I just don’t like it. I love the background but the girl so close up is random. I don’t think it fit the story very well either. But I’m so glad you liked it! I wonder how many do vs don’t. I’ve heard some interesting things about this – I’ll have to try it eventually.